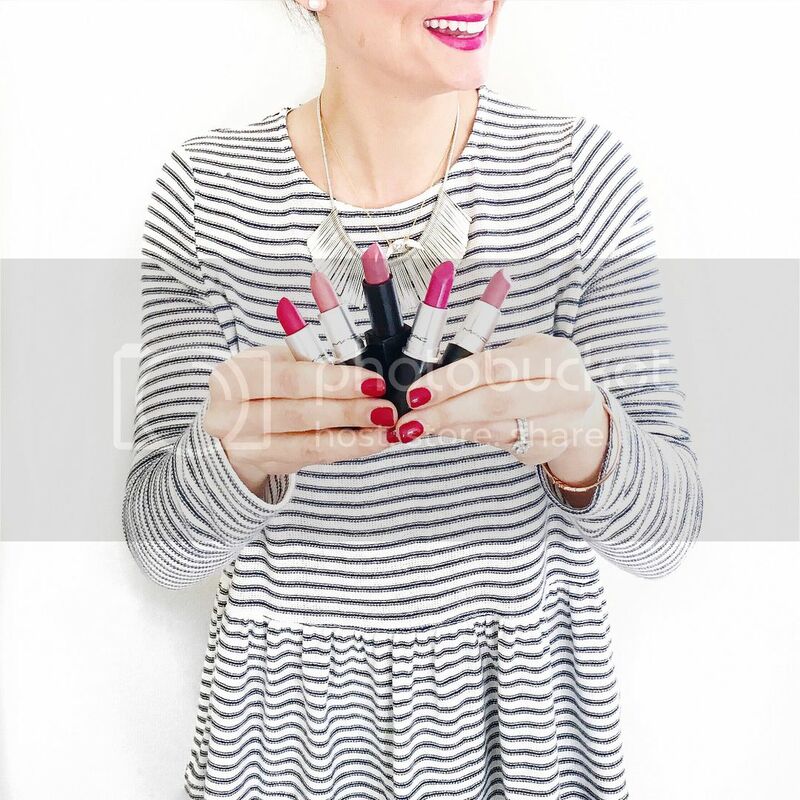 If there is one makeup product that I love, it’s lipstick. In every color. Matte. Shiny. Pink. Red. 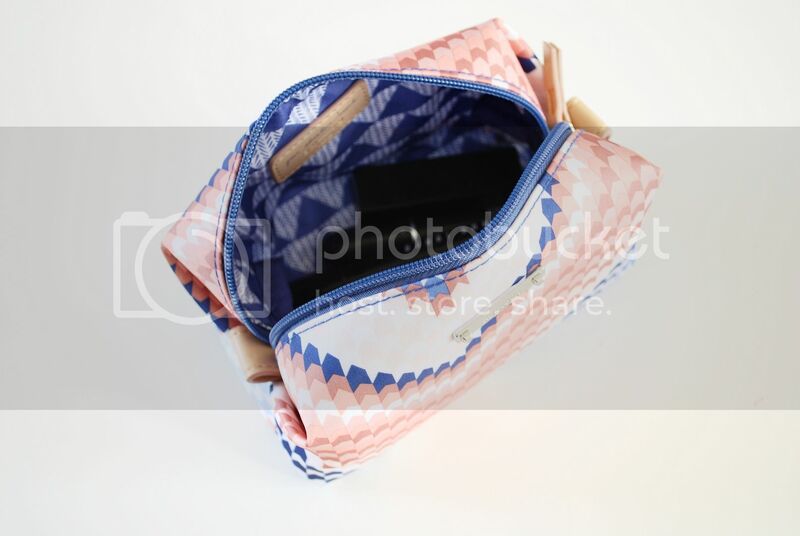 I think it’s one of the easiest ways to make yourself look put together and add a little bit of color to any outfit. Just when I think I have all the colors I will ever need, I find a new pinky/pretty/shiny lip color that for some reason is NOTHING like the other 64 lipsticks I already own. How can that be?!? My favorite way to carry my lipsticks while traveling are in these amazing Stella & Dot poufs. They are the perfect size and super easy to pack. Some of my favorite patterns are this one, this one, and this cute elephant one. Here are some of my current favorite colors that I’ve been wearing non stop! 1. “Angel” by MAC – This is such an everyday soft pretty pink color. It’s actually kind of baby pink with a slight shimmer. This is definitely a great color for spring but have also found myself wearing this all year round. 2. 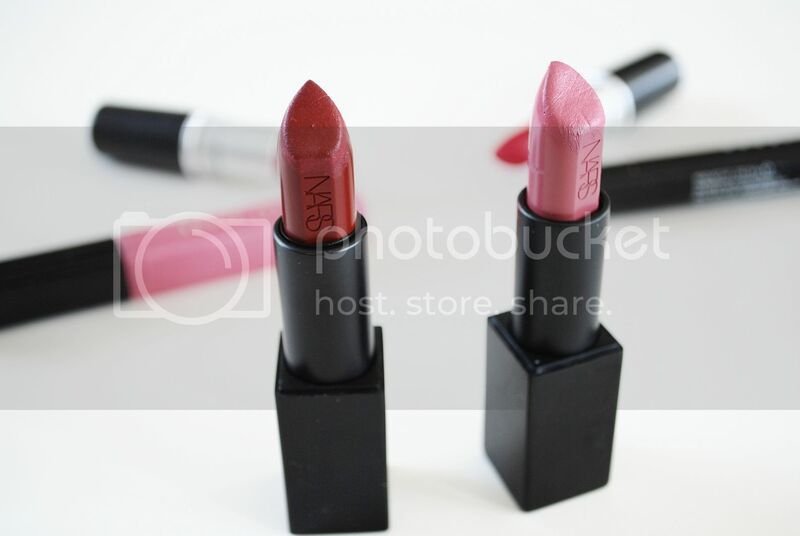 “Charlotte” by NARS – These lipsticks are a little more pricey but OH SO gorgeous. This color is the perfect rich berry color that I’ve been constantly wearing this winter. It is long lasting on the lips and the color is so striking! 3. 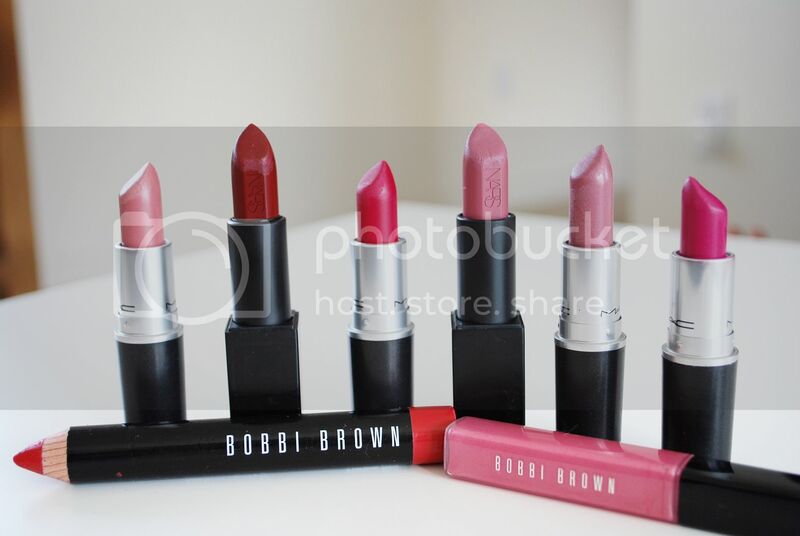 “Harlow Red” Art Stick by Bobbi Brown – I LOVE these art sticks by Bobbi Brown. They are so easy to apply and the color is so rich and beautiful. I love this red color because it’s creates the perfect red lip – not too orange, not too ruby red. It also stays on like crazy without smearing. There are also many other colors that are all gorgeous. 4. 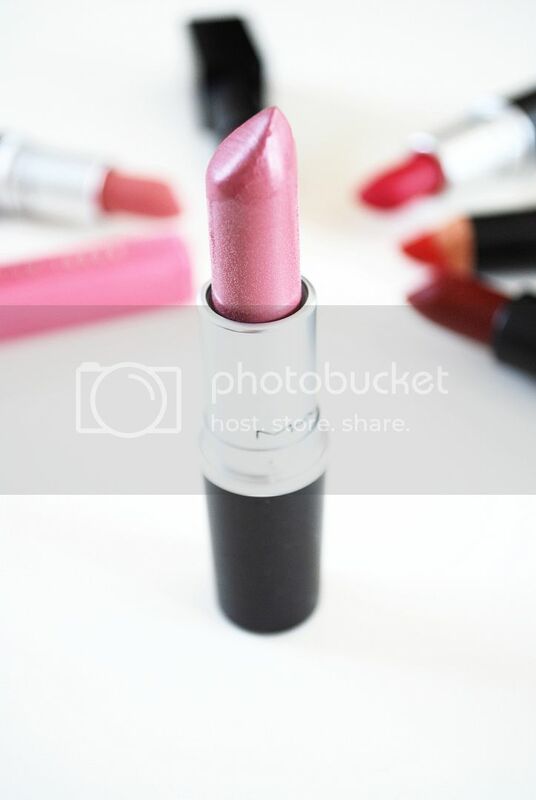 “All Fired Up” by MAC – If you want a matte looking berry pink, this is a great choice! I love wearing a hot pink lip in the summer but also during the grey winter months to add a pop of color to any dull outfit. It’s perfect for a girls night out! 5. “Anna” by NARS – Like the other NARS lipstick this creamy beige pink is an everyday go to for me. It’s about 3 shades darker than “angel” and more of a toned down pink. Gorgeous with a gray sweater and big scarf. 6. “Syrup” by MAC – Oh Syrup…how I love you all the time. I’ve worn this lipstick for years…this is probably my third or fourth stick of it. It’s definitely more sheer and gloss-like which has me wearing it way more. If I don’t want a dramatic color on my lips one day but I want color, I choose Syrup. Beautiful light sheer pink. 7. 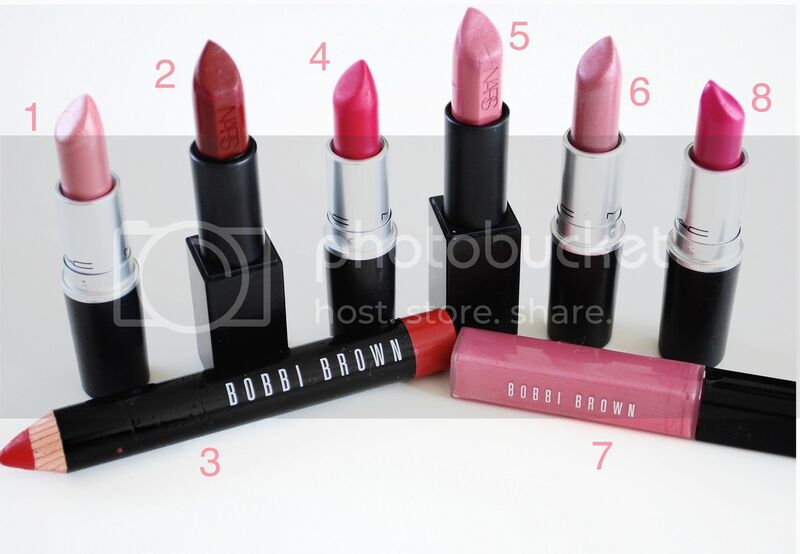 “Pink Sequin” lip gloss by Bobbi Brown – If you read my blog, you know by now that I love the Bobbi Brown lip glosses. So it’s not a “lipstick” but whatever. I wear this color ALL THE TIME. It also is great to layer on top of any of these lipsticks to add a little shimmer. To be honest, it was very hard to narrow it down to 8 lipsticks. But for now, these are my most worn colors that I find myself taking everywhere with me. Oh! And don’t be scared to wear lipstick. People tell me this all the time – “You can wear it but I can’t because it doesn’t look right on me”. The more you wear it, the more comfortable you will get. Promise. Have an amazing Monday!